Updated editions of The World Health Organization Classification of Tumours Pathology & Genetics for both Head and Neck Tumours and Tumours of Endocrine Organs took place in 2016 based on consensus conferences. These editions present unification of concepts in paragangliomas and highlight expanding knowledge of their etiology. There is a major emphasis in the new bluebooks on familial/syndromic paragangliomas, representing ~40% of all head and neck paragangliomas. Ancillary use of immunohistochemical evaluation, specifically of SDHB, allows the pathologist to screen for a large subset of these potentially hereditary cases. In addition, similarly to other neuroendocrine tumors, paragangliomas are now considered to represent a continuum of risk, and are assessed in terms of risk stratification. Tumors with SDHB mutations pose the highest risk for metastasis. There is currently no validated or endorsed histologic grading system. 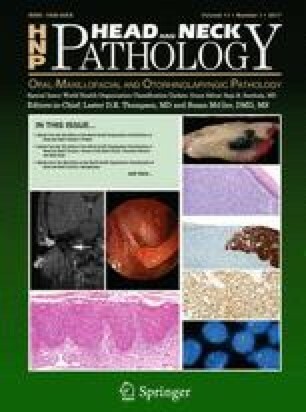 Paragangliomas remain tumors of undetermined biologic potential and should not be termed benign.